Many previous winners were shut out of the race, as the HFPA shook things up for 2019. More often than any other award show, the Golden Globes offer an extra helping of snubs and surprises. Whether it’s the hot new show getting shut out of the race or an out-of-nowhere entry storming the nominations list, the Hollywood Foreign Press Association makes picks that are utterly unpredictable. This year is no different, so let’s dig into all the shocking TV twists in Thursday’s list of nominees. “Maniac”: Not even the famous faces of Jonah Hill and Emma Stone could get Netflix’s ambitious new series on the board, as the Golden Globes completely snubbed Cary Fukunaga’s latest TV experiment. “This Is Us”: Not even last year’s winner, the beloved Sterling K. Brown, could crack into this year’s race, as NBC’s once sizzling drama series got blanked in the 2019 race. “The Handmad’s Tale”: Last year’s winner is already out of the running. Despite a nod for Elisabeth Moss and Yvonne Strahovski, the HFPA may be the harshest Season 2 critics of all. “Westworld”: Thandie Newton is the sole representative of a series that was up for three awards in its first season, including Best Drama Series. “Forever”: Some thought Amazon’s new comedy series, starring Fred Armisen and Maya Rudolph, could get a much-needed profile boost from the HFPA, but it turns out they’re content letting this one slide by. “Black-ish”: Not even Tracee Ellis Ross, a winner from 2017, could get the ABC comedy on the board. And it was nominated for Best Comedy just last year. Kevin Costner, “Yellowstone”: Maybe it was a stretch to think the Paramount Network hit could ride into the drama series race, but the modern Western’s star seemed like a sure thing for the Best Actor race. T’was not to be. John Krasinski, “Jack Ryan”: Another Amazon series that was hoping to make waves (with a little help from its star’s other hit, “A Quiet Place”) drifted out to sea instead. Robin Wright, “House of Cards”: Despite a renewed focus on Claire Underwood after Kevin Spacey’s ouster, the HFPA didn’t see fit to return the four-time nominee (and one-time winner) to the Best Actress in a Drama category. Bob Odenkirk, “Better Call Saul”: Nominated each of the three seasons, Odenkirk fell prey to the HFPA’s general lack of enthusiasm for the show overall. Voters may have loved “Breaking Bad,” but they have yet to give “Saul” a nod beyond Odenkirk — and this year, not even that. Benicio Del Toro, “Escape at Dannemora”: Showtime’s limited series did well overall, snagging nods for Best Limited Series and actress Patricia Arquette, but Del Toro, a previous Golden Globes winner for “Traffic,” was left out. Laurie Metcalf, “The Conners”: A past nominee for “Roseanne” and last year’s nominee for “Lady Bird” still couldn’t push ABC’s rebooted revival series into the Globes race. 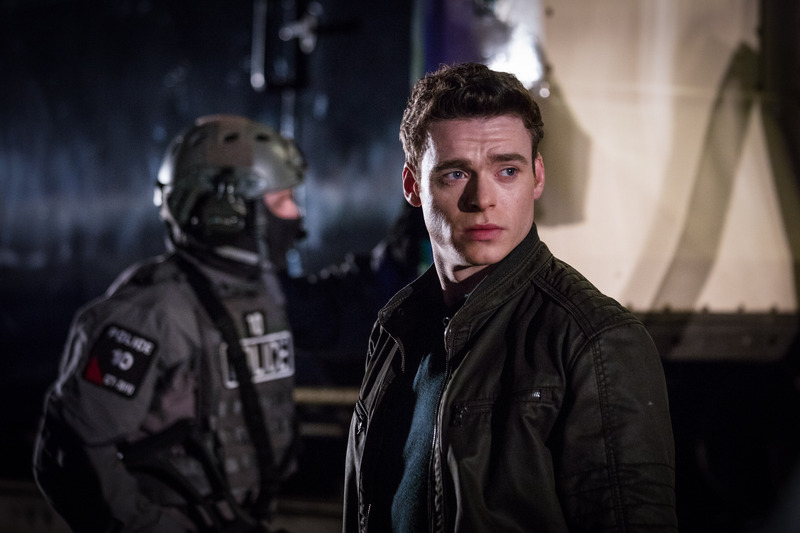 “Bodyguard”: The future Bond got a profile boost for his popular British series, as Richard Madden pulled an acting nod, but the real surprise came when the drama (with mixed reviews) shot its way into the Best Drama Series race. “The Good Place”: Not only did the NBC sitcom score its first Best Comedy Series nod after three seasons, but Kristen Bell broke into the Best Actress category as well! But does that give the HFPA enough Good Place points to keep it out of the Bad Place? “The Americans”: Call us pessimists, but after only earning its first nominations in 2017 — and only in the acting categories — it was far from a sure thing that FX series’ final season would represent well at the Globes. Thankfully, the best show of the year is in competition for Best Drama for the first time, and Keri Russell and Matthew Rhys can take home trophies, as well. Connie Britton, “Dirty John”: Hearing your name called next to an Oscar winner like Patricia Arquette (“Escape at Dannemora”) and a five-time nominee like Amy Adams (“Sharp Objects”) is pretty wonderful all by its lonesome, but Britton’s nod for Best Actress in a Limited Series or TV Movie comes in spite of pretty negative reviews for the Bravo drama, which couldn’t crack into the other races. “The Alienist”: TNT’s never-say-die limited series strikes again. After a surprisingly strong showing at the Emmys, the love carried over to the Golden Globes. It snagged a spot in the Best Limited Series or TV Movie category, and Daniel Bruhl scored his second nomination (after the 2014 film, “Rush”), as well. Kieran Culkin, “Succession”: If Culkin celebrates at even one-tenth the level his character would, whatever city he’s in better lock the doors and stay inside tonight — his nod for Best Supporting Actor in a TV Series is very well-deserved. Billy Porter, “Pose”: Ryan Murphy’s landmark drama was expected to do well with the Globes, but seeing Billy Porter’s name called early Thursday channeled the exact tone fans were feeling: Pray Tell, doing his thing. Candice Bergen, “Murphy Brown” and Debra Messing, “Will & Grace”: Two revivals on the edge of obscurity landed a surprising boost in the Best Actress (Comedy) race. “Murphy Brown” was falsely reported as being cancelled last week, while “Will & Grace” was bumped out of the other Globe categories — but then Bergen’s landed her lucky 13th acting nod and Messing earning her ninth. The latter is even more surprising given Messing wasn’t nominated last year, when “Will & Grace” nabbed a Best Comedy slot. Sacha Baron Cohen, “Who Is America?”: Remember this show? The HFPA does! Impressed by his multiple roles and commitment in the face of very real adversity, the Globes rewarded Showtime’s surprise summer series through its creator and star. The 76th Golden Globe Awards, hosted by Sandra Oh and Andy Samberg, will be held Sunday, January 6 at 8 p.m. ET on NBC.